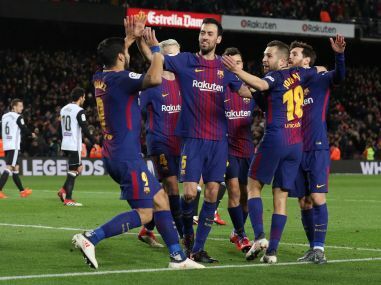 Luis Suarez headed in the only goal as defending champions Barcelona edged Valencia 1-0 in their Copa del Rey semi-final first leg at a half-full Camp Nou on Thursday. Simeone was sent to the stands in the aftermath of Pablo Sarabia's 79th-minute goal for Sevilla, after he argued vociferously with and then sarcastically applauded officials. 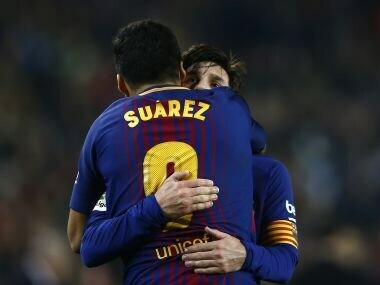 Luis Suarez scored an early opener in the quarter-final second leg before Messi's deflected effort gave Barcelona a 2-1 aggregate advantage as the holders overturned a 1-0 deficit from last week's first leg. 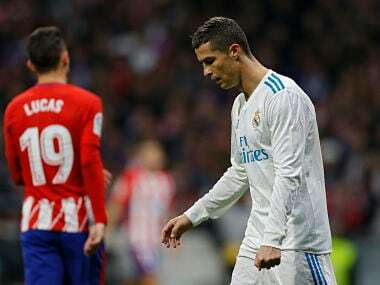 Real Madrid crashed to a humiliating Copa del Rey exit on Wednesday when they were knocked out by little Leganes in the quarter-finals, adding to the atmosphere of crisis at the European champions. 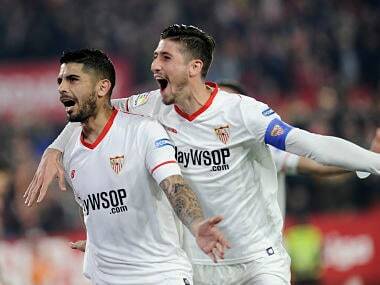 Sevilla, finalists in 2016, were in charge of this quarter-final with a 2-1 first leg success and Escudero's lightning contribution all but sealed Atletico's fate. 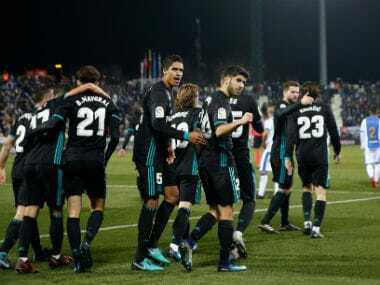 A last-gasp goal from Marco Asensio gave a virtually second-string Real Madrid a 1-0 first leg Spanish Cup quarter-final victory at Leganes on Thursday. 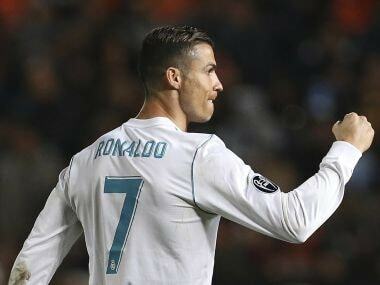 "I can't imagine a Madrid without Cristiano (Ronaldo)," said Zinedine Zidane, a World Cup winner as a player. 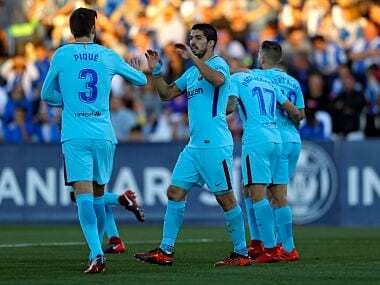 Unless Barcelona's appeal is successful, Pique will miss next Sunday's top of the table clash at Valencia. 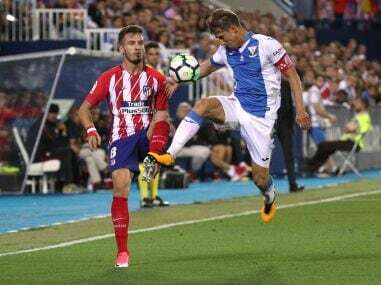 Atletico Madrid's poor week following their Champions League defeat by Chelsea continued as they lost more ground in the La Liga title race in a 0-0 draw at Leganes.